The Trans-Siberian has the reputation of being one of the most interesting, exciting and, unsurprisingly, tiring railway journeys in the whole world. It is not only the journey that makes people want to travel by rail across Russia however, but also the train itself. Russian trains are very different to the trains you might have been on in the UK or elsewhere, and this is all down to the size of the country. Travelling on the train in Russia needs to be a little more luxurious than normal: not many of us would enjoy spending eight days in just one seat! On board the train, each passenger has a fold down bed, there are showers, and a constant supply of tea! This comes from a samovar (literally ‘self-boiler’), a kind of Russian kettle. In it, water is heated to make tea, or chai, as it is called in Russian. The samovar is a very important part of Russian culture: the more ornate the samovar, the more wealth and status it showed you had in society. 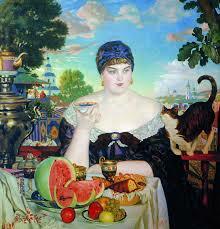 Here you can see a painting of a wealthy Russian woman drinking tea, with the samovar, and the teapot balanced on top! Perhaps you can try some ‘chai’ the traditional Russian way? Serve black or green tea in small china cups (or glasses, if you have them) with slices of lemon, fruit jam, and cake. One person should be nominated the ‘server’--this is an important part of Russian culture, which makes sure your guests feel at home. Use the words for ‘please’ (пожалуйста: pah-zhal-oo-stah) and ‘thank you’ (спасибо: spah-see-buh)! If you like, you can also write a short story: who is this woman waiting for? Why did she invite them to tea? name the two continents it crosses? The names of the continents appear here in Russian Cyrillic. Can you read them? This photo was taken in the city of Ekaterinburg, one of the stops on the Trans-Siberian. 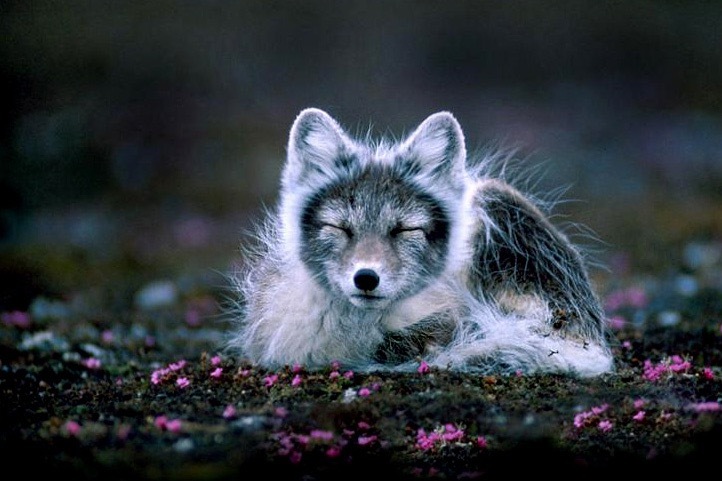 While we might think of Siberia as a cold, snow-covered land, it is famed for its natural beauty, and the diversity of its peoples and wildlife. 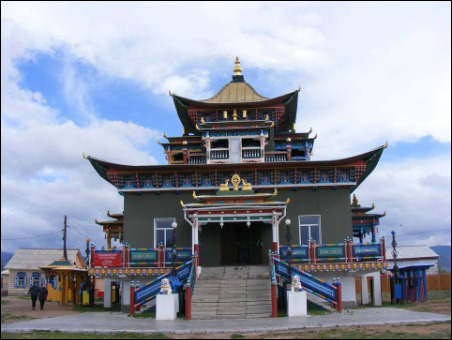 You’re just as likely to find a Russian Orthodox Church as a Buddhist temple, and tigers as well as arctic foxes! 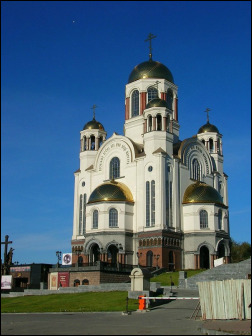 A Russian Orthodox church in Ekaterinburg. This was built in honour of the last Russian tsar, Nicholas II, and his family, who were killed during the Russian Revolution of 1917. 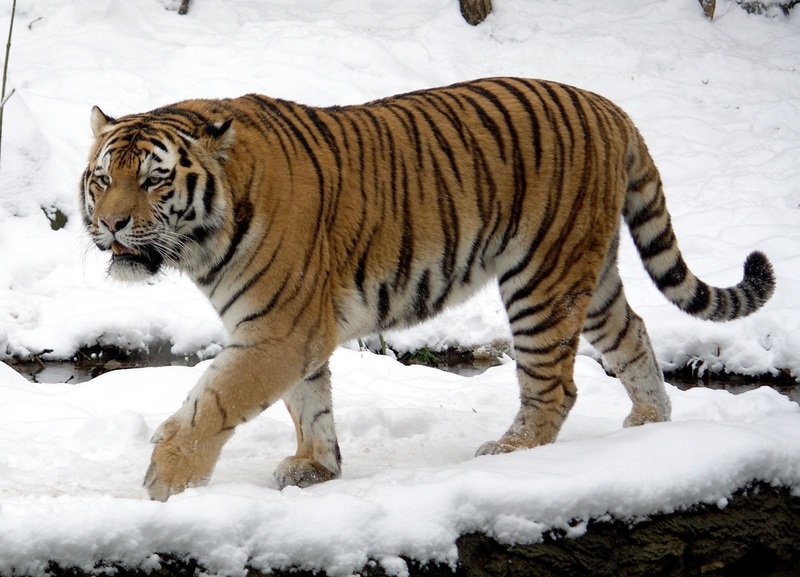 Below is some Siberian wildlife: the endangered Siberian (or Amur) tiger and the Arctic Fox. 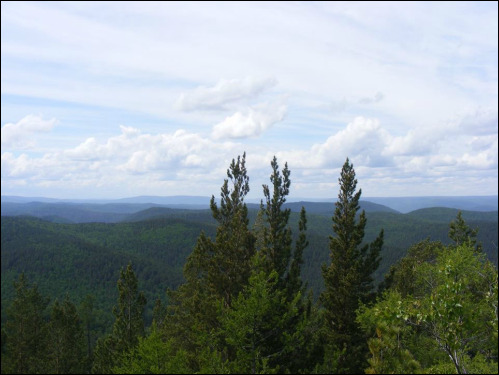 Perhaps the most important feature of the Siberian landscape is the taiga forest, a name which we have already come across. This stretches all the way across Siberia. The vast Stolby National Park, in Krasnoyarsk. Can you find some information about one of these animals and prepare a make to inform your classmates? Make sure you mention their Russian names: Амурский тигр and песец! Lake Baikal has been a site of human habitation for thousands of years, partly because of the different kinds of wildlife it supports. Many of these animals and plants—from fish and birds to insects and trees—are unique to Lake Baikal, meaning they are only found here and nowhere else in the world! The most unique of these animals is probably the Baikal Seal: it is one of only three groups of seals that live in freshwater in the whole world, and has lived in the lake for nearly two million years. Scientists say that it is a mystery how the seals came to live in the lake, as it is so far inland, with the most likely explanation being that the seals swam up rivers to get there, or were carried there along with melting glaciers. Russia has been home to many tribes of people across thousands of years, many of whom made Lake Baikal their home. They spoke languages different from Russian, with the first Russians not reaching the lake until the 17th century. 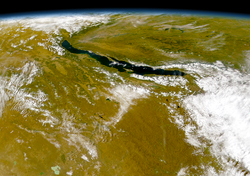 The word ‘Baikal’ originally comes from the languages of the tribes, being an old word for sea or lake. The completion of the Trans-Siberian Railway allowed many more Russians to move here, and Baikal became a hub for industry and leisure, which it still is today.